Representatives from AT&T recently visited Megan’s House to learn more about the amazing work being done to make a difference in the lives of young women in recovery. Before leaving, they presented staff with $11,000 to be used for programming and to support Emma’s Place, the Foundation’s second Success Home, which is slated to open its doors this Fall. 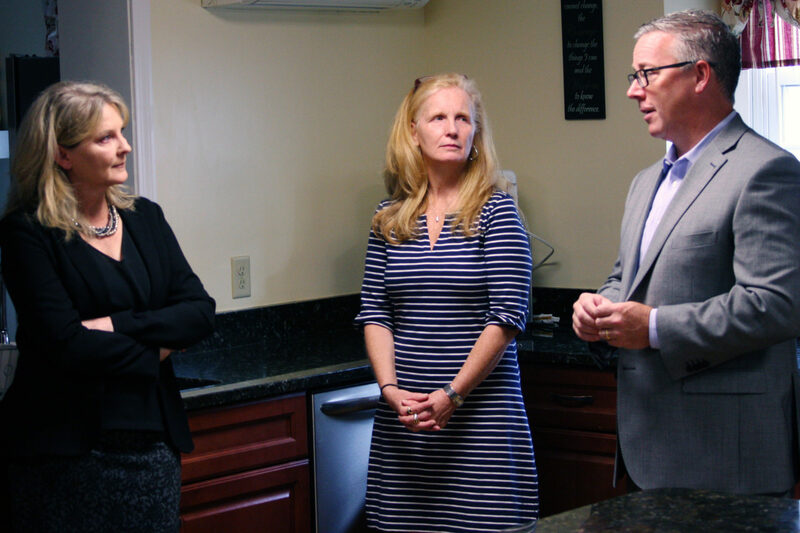 AT&T New England President Patricia Jacobs was among the representatives receiving a tour of the home from Program Director MaryBeth Murphy. Jacobs was visibly moved as she met a few of the residents and heard the stories of lives saved and hopes for a brighter future restored. 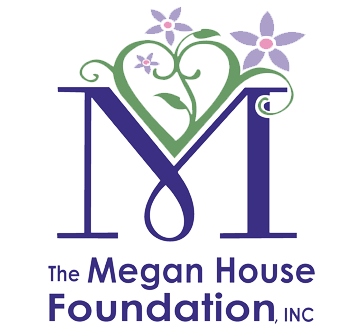 Also on hand for the tour was State Representative Tom Golden of Lowell, a long-time supporter of Megan’s House and its mission. 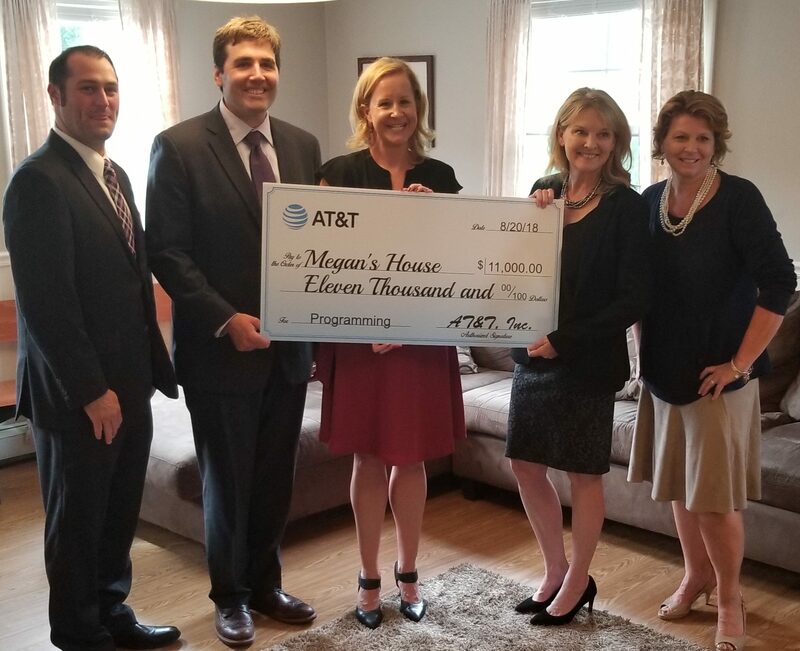 The Megan House Foundation extends its heartfelt appreciation to everyone at AT&T for their generous support and for taking time out of their busy schedules to visit our home. It is through these types of partnerships with individuals and members of our business community that we are able to offer the comprehensive services necessary to sustain recovery and to begin the process of rebuilding lives.